Imogen's Typewriter. 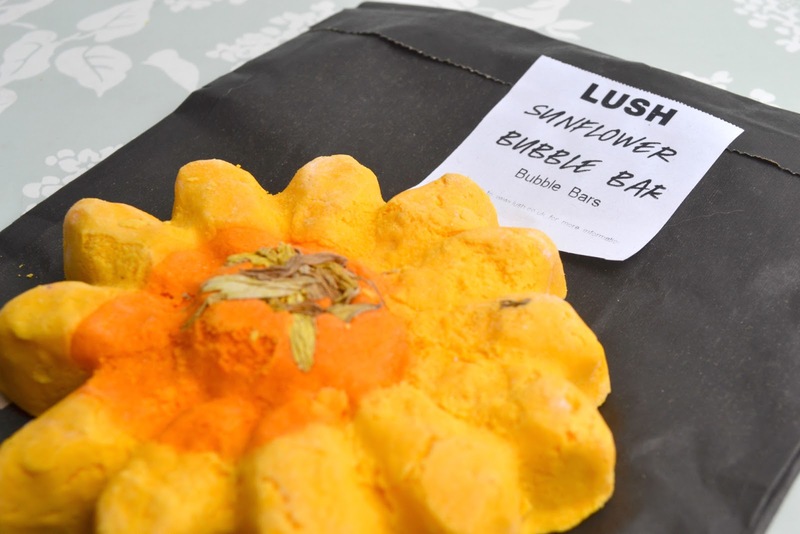 : Beauty Review: Lush's Sunflower Bubble Bar! I didn't even know Lush made the black paper bags this big until I got this. It's twice the size of the regular ones. Since this bubble bar is so big, and flat which is super convenient for dividing it up, I got three baths out of it. I might've been able to get four but I liked the scent way too much to risk a lame bath from not putting enough in. 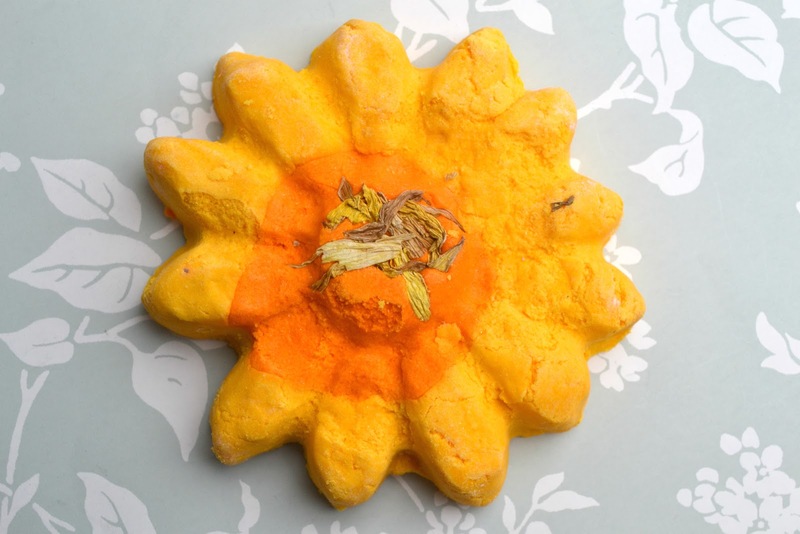 It's really orange-y, citrus-y and basically what you'd expect from a bright orange bubble bar. Unfortunately it just doesn't come out in the bath. You can't smell it at all. The bath was fine; yellow, bubbles, but I buy Lush for the scents and this let me down. Brightside is a bubble bar I've tried before with the same scent but actually works if this appeals. Sunflower is a Lush Oxford Street Exclusive but it might pop up in the Kitchen sometime and it's £4.95! Have you ever tried the Sunflower? Did you get scent from it?